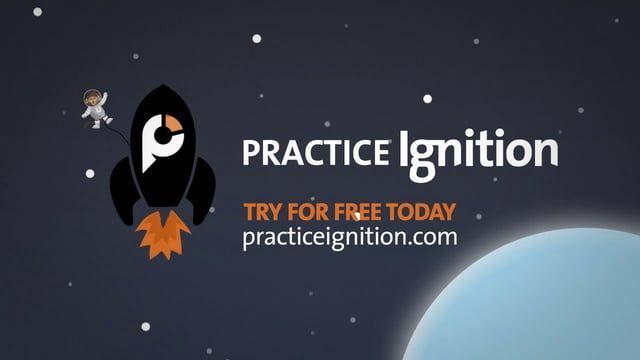 What is Practice Ignition ? Get a perfect view of all your business activities on one single screen with Practice Ignition. Its Business Intelligence dashboards provides you with every information possible at just one single click. Get an oversight of where your business was in the past, where it is currently and also where it is heading. View your forecast growth with well defined charts and tables and make decisions accordingly. Track the performance of your sales team with the sales pipeline overview. Stay updated with all your unbilled projects and unpaid invoices and make timely reviews and follow up calls to all your clients. How much does Practice Ignition cost ? 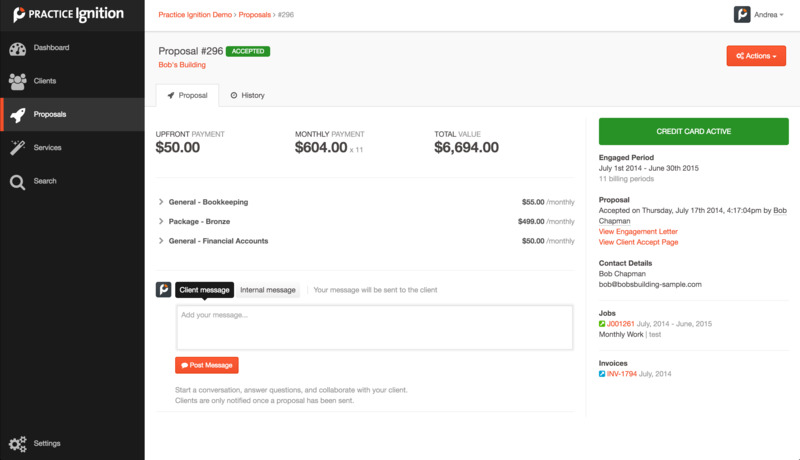 The pricing for Practice Ignition starts at $79.0 per month. 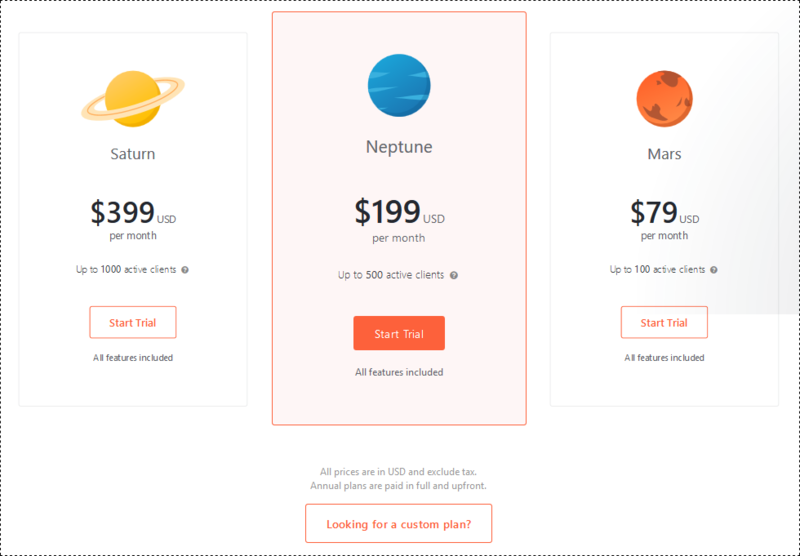 Practice Ignition has 3 different plans such as - MARS at $79.0 per month, NEPTUNE at $199.0 per month and SATURN at $399.0 per month. 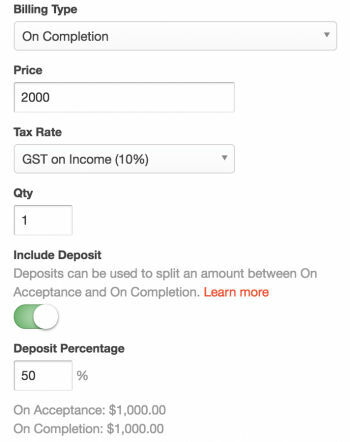 Practice Ignition also offers a custom plan based on the customer's request. For customized plans and volume licensing plans, contact sales department. 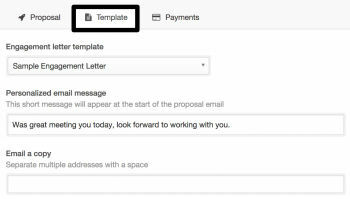 Pros: How easy it is to get the signatures for engagement letters and get paid! Cons: Would like a little more user controls as far as payments. Overall: I am getting paid faster and with less administrative time in chasing collection of my fees. Pros: It's saved me a ton of money in two instances where a client tried to back out of paying for work that was already in process or completed. I have an accounting firm with larger clients. I have the software set up to only accept ACH, which gives me more control over refunds / charge backs. 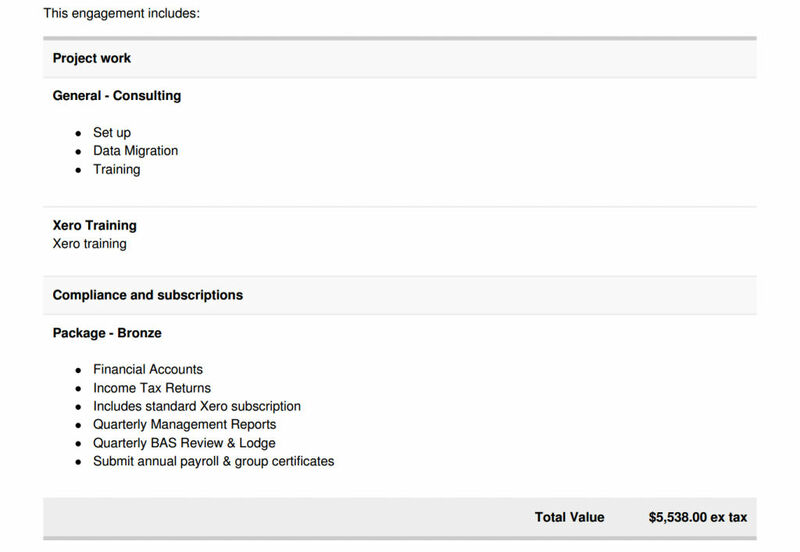 I love that it has everything together: the engagement letter, the scope of work and the payment all in one. Cons: The user design is just ok. It's not bad but there's a lot of manual data entry in the beginning. Overall: Great and their customer service is excellent. Practice Ignition makes the most of a great link with Xero to provide Xero practices the perfect way to send and track proposals. Say goodbye to word documents! No real cons, the product does everything advertised. They can always add more functionality, which they continue to do. Pros: I LOVE that as soon as a prospect accepts our Proposal, we get paid . No uncomfortable moments of asking for money or worse, chasing invoices. Overall: It's changed the way we work - and I don't have to call debtors any more!! Pros: I love this program for ease of use. it does what it needs to. I can set quotes to be sent out and when they are accepted they fill in bank details to do direct debit. I don't need to do anything else. I love the new update for recurring billing so I don't have to send out new annual fee quotes if we agree that the same price is still relevant. Cons: I possibly don't use it to its full capacity as when we started using it the software was very basic but the new updates are making it a bit better. I don't have much negative to say. Overall: It has allowed us to move from the more traditional time billing system to a fixed fee program that clients seem to really like. One day we won't need timesheets and this will help us get there! 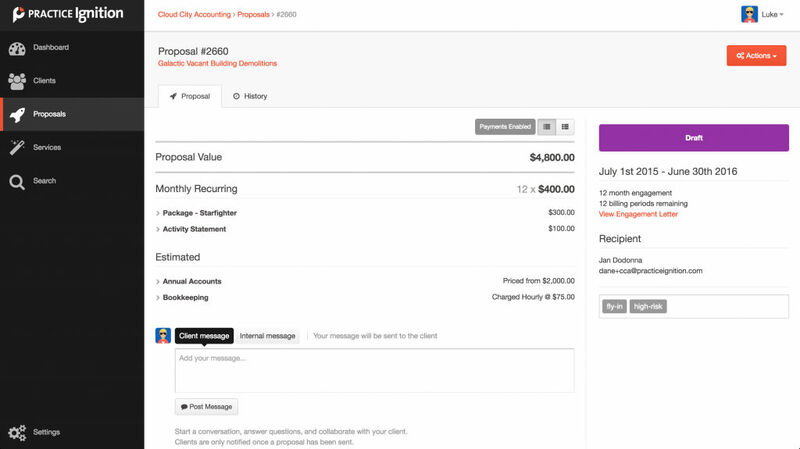 Pros: Practice Ignition has allowed me to start up my business efficiently and effectively with its recurring billing function and engagement templates. 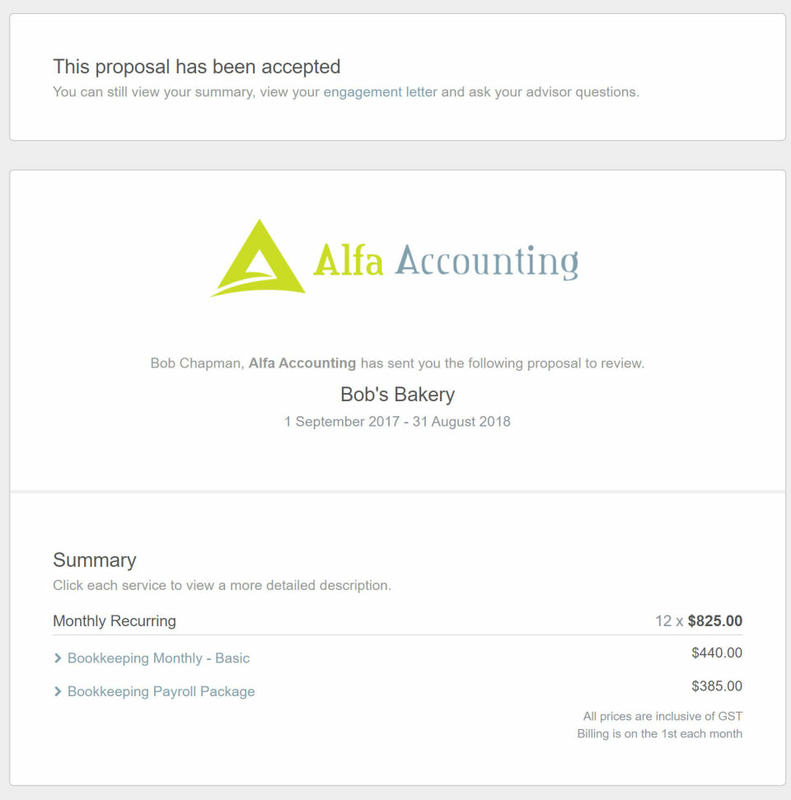 Cons: Would like a function where if clients utilise a credit card then fees go on top of your proposal. Overall: Great experience so far, customer service has been great. Pros: Easy to navigate and self explanatory. There is someone to contact should be experience any difficulty.